Many writers not only read widely, but write widely. In my tenure as a fiction writer I’ve dabbled in short stories that use different voices and points of view. I see them as experiments at first, yet some have become my favorite work. Author Jess Riley shares with us how she stepped out of the realm of traditional women’s fiction and how it’s her favorite book to date. Jess has been both traditionally and self-published. I don’t know if Jess knows this but I remember her from Backspace when her first novel was published. It feels good to be in on her career all along the way! 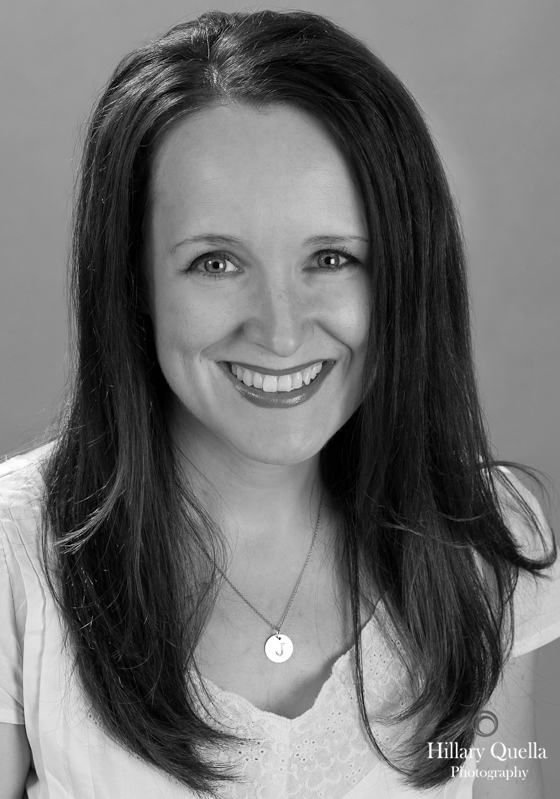 Please welcome Jess Riley to Women’s Fiction Writers! 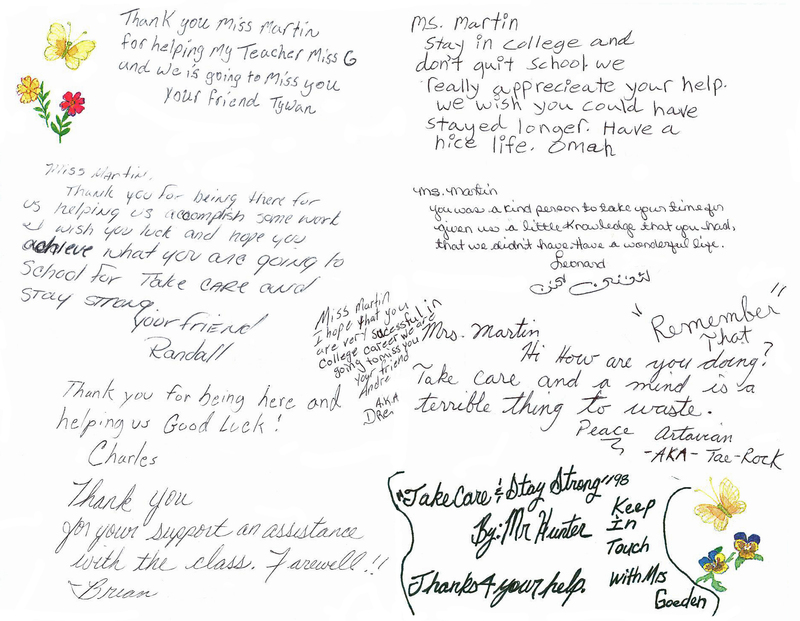 A thank you card from my students who were in prison. First, some backstory. To make ends meet in college, I worked part-time as a teacher in a medium-security men’s prison. This sounds strange for any young woman, but at the time, I was so shy I could barely make a phone call without a script. But my parents met in prison (that’s the running gag, which I included in the dedication of my new novel—they actually worked there together), so it didn’t seem entirely abnormal to me. It turned out to be a life-changing job, and my experiences were a gold mine for any writer. Years later, I decided to integrate those experiences into a novel: MANDATORY RELEASE. I developed two protagonists, and I wanted them to tell their stories in an alternating chapter format. However, given the subject matter, setting, and the kind of story I wanted to tell, I was drifting farther and farther from the women’s fiction camp. The more I wrote, the more I felt I was entering Nick Hornby territory: the novel was darker and snarkier, tackling some uncomfortable subjects in an unconventional setting. * Oh, and I was writing from a first-person/present POV for my male character, and third-person/past for my female character. I have no idea how that happened, but you write the story the way it demands to be written, and that’s how it came to me, fast and furious. Not only was my primary “voice” a man, but he was also in a wheelchair, which required extensive research and added layers of bitter, heartbreaking, and sometimes hilariously honest complication to the unfolding love story. The funny thing is that he was incredibly easy to write, because my own sensibilities, humor, and interests lined up with his raw take on life. In a way, I neutered him with a spinal cord injury, which one could argue made him both easier to write and sympathize with, but he’s still a guy, with a more masculine outlook on life. Tell me if you agree with this statement: The snarkier, funnier, and angrier your protagonist, the easier that character is to accept if he’s a man. Likeability and familiarity are important in commercial women’s fiction; I knew I was in trouble the more honest and real I was getting with how my characters thought and spoke, and holy cow: the setting? I love that Orange is the New Black is big now, because I got lots of crooked looks when I tried to explain what a strangely fabulous setting a prison can be for a story. Well, I think that ship has sailed, but if I bend genres again, I may consider a pseudonym. (Jen Weiner, who is pretty much the queen of women’s fiction and all kinds of amazing, has lots to say on that subject.) I hate the word “branding,” but it is important if you want to keep selling novels to traditional publishers, especially today. However, I wrote what I wanted to write with MANDATORY RELEASE, and I wouldn’t trade that feeling, that experience, for anything; however, I would warn aspiring authors to be careful if you mix it up too early in your career. Have fun, but keep readers’ expectations in mind. And when you write what you want to write, don’t forget that the formula is: rewards for the reader (humor, rich language, relatable and developed characters, plot twists, etc.) – self-indulgent writing = a satisfying book. One you can be truly proud of, even if you release it yourself. 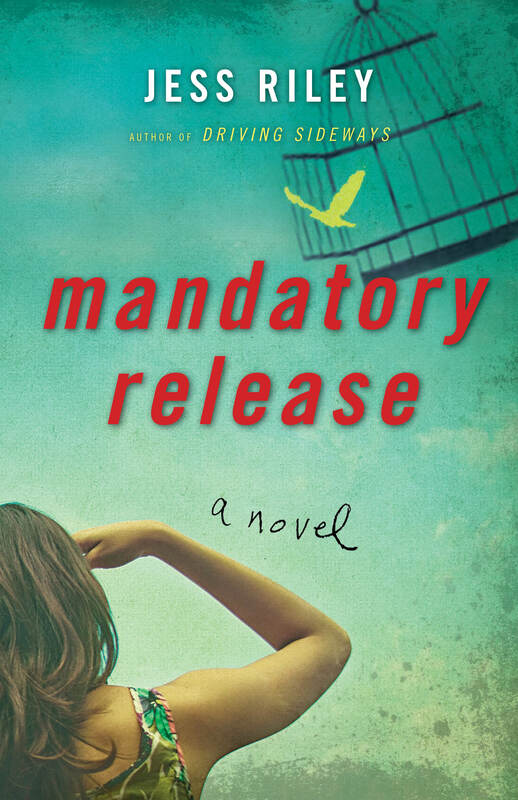 Jess Riley’s teaching experiences in a prison inspired her latest novel, MANDATORY RELEASE. Her debut novel was DRIVING SIDEWAYS, a Target bestseller now in its fourth printing, published by Random House in 2008. She is also the author of ALL THE LONELY PEOPLE (2012) and the novella CLOSER THAN THEY APPEAR. She lives in Oshkosh, Wisconsin with her husband and a nutty Cairn Terrier who despises the theme music to certain public radio shows. Follow Jess on Twitter (@jessrileywrites), Facebook (www.facebook.com/JessRileyAuthor), or her blog (www.jessriley.com). « Author Of 9 Women's Fiction Books, Beth Kendrick Says: "Be Patient With Yourself And With The Process"
Jess, your book’s characters, setting and lifestyles are unique to women’s fiction. Coincidentally, when I was single during 2004-2008, I did some online dating and one of the nicest guys I dated was a paraplegic. A version of him will be the love interest in my current WIP, which is women’s fiction and about a woman who is widowed and realizes she has no idea how to take care of herself since her husband totally controlled their 33 yr life together. She desperately wants to resurrect her 22 yr old self when she was independent and ready to take on the world with her grad degree in PR. I applaud your courage to write what you had to, even though that meant stepping into a new genre. Like you, though, my women’s fiction is not chick lit but a little darker version. Amy, thanks for introducing Jess to your readers! Fascinating post, and I love your tongue in cheek definition of literary fiction…..still, there’s a lot of truth there…male pseudonym….mmm..how about using 2 initials followed by your surname – a compromise, of sorts. When I decided to begin establishing my writing career I thought I could write it all. When I began sending queries to literary agent I received a reply that caught me. I was advised to pick a genre. What? I was upset. She’s just trying to be mean. I licked my wounds. Now, sufficient time has elasped that I can find the wisdom in her words. Oh, that ‘branding’ word–love it, hate it, it is important. Thank you for this interesting interview. Wishing you continued success with your career, Jess. What a fascinating experience growing up — and, yes, such fodder for fiction. I’m heading over to Goodreads to put this book on my list. I love writing male protagonists, and I can’t wait to see how you’ve characterized both men in your book. It sounds wonderful. I love this post. Especially your advice to write what you want, and the writing formula that goes along with. Brilliant. I struggled with the topic of my debut novel, having been told that there are already “enough books about slavery” out there, that it wouldn’t sell. But it was a story I was compelled to write. So I wrote it, and put off worrying about whether it would sell. And I’m glad I did. And I’m glad you wrote what you wanted to write, too. I’m off to add your title to my “to-read” list right now. Thank you for sharing your insights! Thanks for the great comments, everyone! Marcia, that is a great story!!! Yes! Love the tongue-in-cheek definition of literary fiction. LOL. Also, love that you have a cairn terrier–I have a little terrier mutt often mistaken for a cairn and she’s the best. Working in a prison?! Yikes. I’ve never even been in a prison but it sounds scary, tough, and impressive. Ha, working in a prison isn’t that thrilling; it’s pretty routine (has to be), punctuated by the occasional exciting/terrifying incident. Terriers are awesome (or at least this one is!). Everyone warned me they were nightmares who’d need a ton of exercise in order to avoid being destructive. But I have found my little Pelu to be the sweetest, most loving, and kind little thing ever.